Scribblers' Rest: Scribblers' Rest: Pathfinder - Rappan Athuk! : Episode 31 – I Scout Double Trouble!! Scribblers' Rest: Pathfinder - Rappan Athuk! : Episode 31 – I Scout Double Trouble!! 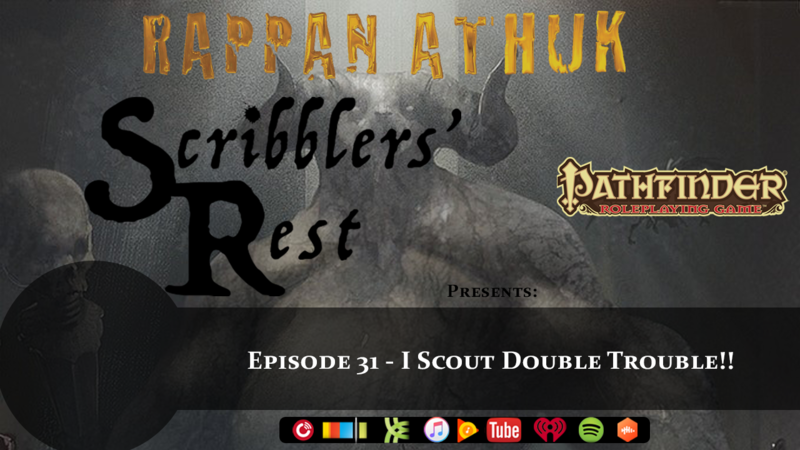 The Scribblers get real as they venture head first into Rappan Athuk: Episode 31 – I Scout Double Trouble!! The Temple of Tsathogga inner secrets are revealed as the party comes face to face with old foes (again!). Where is the dwarf when you need him?